Square Enix has announced that a Shadow of the Tomb Raider trial is available for free across the PlayStation 4, PC, and Xbox One platforms. The trial only features earlier portions of the title, where Lara and Jonah venture into Cozumel, Mexico, during The Day of the Dead celebrations. To accompany the news, a new trailer for Lara Croft’s latest adventure has gone live. 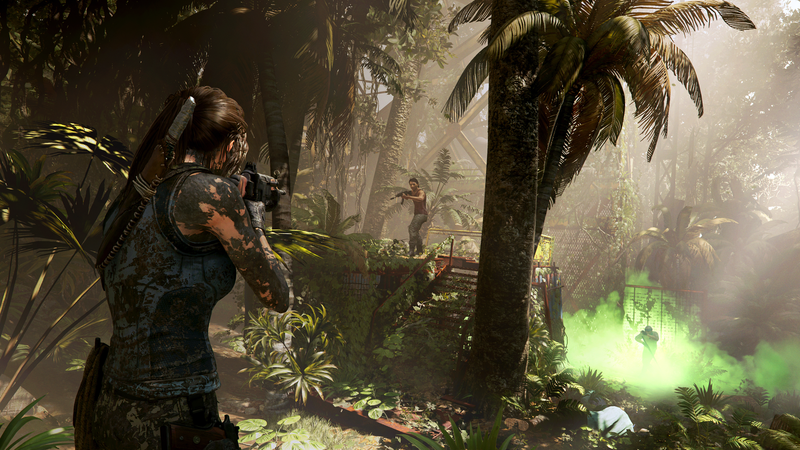 For players who purchase Shadow of the Tomb Raider after completing the demo, their progress will transfer over into the main game. This will allow them to pick up where the trial ends. The transfer will include story progress, ability unlocks, and trophies. Besides the main game, there’s more to look forward to in Shadow of the Tomb Raider. For instance, this is the first title in the series to feature a New Game Plus mode. Completing the game and unlocking New Game Plus won’t offer the same experience as other games with similar modes. New pathways become available, too, which are tailored to a player’s preferred style of play. Path of the Serpent emphasizes stealth and subterfuge. Path of the Jaguar places focus on hunting and combat. Traversal and resourcefulness rest at the center of Path of the Eagle’s option. Developer Eidos-Montréal is rolling out DLC, as well. The first DLC release, The Forge, gives players a new challenge tomb to explore, which can be done either individually or in co-op. The second batch of DLC, The Pillar, will launch sometime this December.